Dr. Guido Goldman | Harvard GAC e.V. Dr. Guido Goldman is director of the Program for the Study of Germany and Europe at Harvard University’s Center for European Studies and member of the Kuratorium of the Hertie-School of Governance in Berlin. He served as the founding director of CES for twenty-five years (1979–1994). 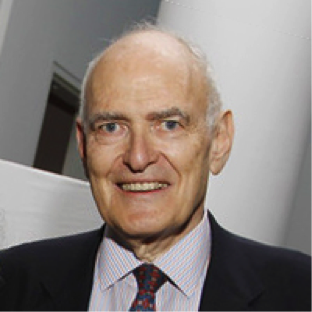 He was also chairman of the First Spring Corporation in New York, co-chairman of the board of the German Marshall Fund of the United States, chairman and president of the American Foundation for Textile Art, Inc., and chairman of the board of the Alvin Ailey American Dance Theater, and a board member of the American Council on Germany. © 2016 by GAC e.V. Disclaimer: The Council of the German American Conference at Harvard e.V. is run by students, alumni and affiliates of the German American Conference at Harvard. The contents and activities are in no way an endorsement by Harvard University, nor should be viewed as representing the views of Harvard University or any of its faculty.